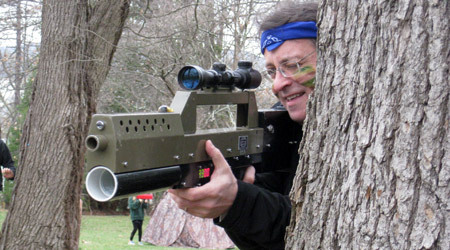 Corporate and Company Events by Outdoor Laser Tag, USA - Leading provider of Mobile Laser Tag for Birthday Parties, Camps and Corporate Events! 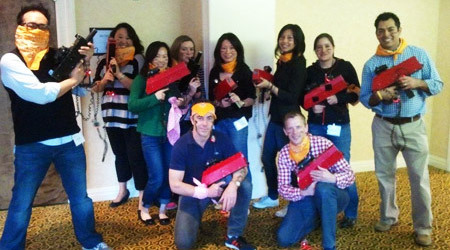 MISSION: Team-building FUN for your employees that makes great business sense. 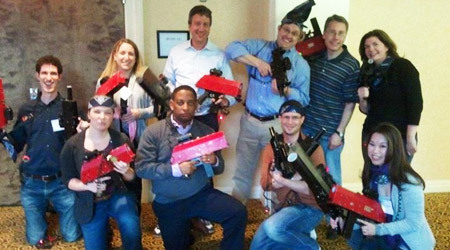 Pump up your next off-site meeting with this unique team-building activity that guarantees results and boosts morale. We are a perfect complement to a scheduled company event or off-site meeting that can be used in a number of different ways to reward employees for achieving a particular goal, celebrate the launch of a new product, etc. 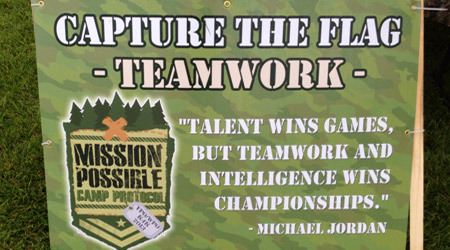 We are 100% mobile and can come to your corporate park or facility or meet you at your off-site location and set-up a mission field or fields starting in size from 1/2 a basketball court up to an entire football field to allow up to 150 participants to play several games each hour (indoors or outside). 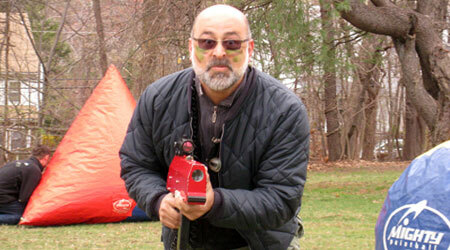 You can also book a corporate event and come to our state-of-the-art Outdoor Laser Tag Mission Field at our camp at Black Bear Lake Day Camp in Clarksburg, NJ (60 minutes from NYC) where we offer a complete menu of activities, pools, sports and can fully cater an event for up to 3,000 people. We provide several gaming options, all designed to challenge, team build and promote strategic planning in a fun and creative environment. 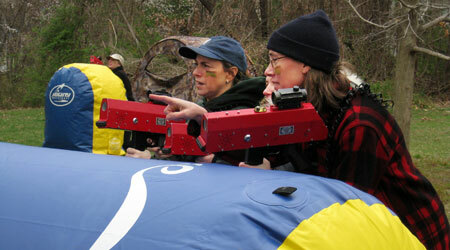 Outdoor Laser Tag is high-impact and challenging, yet safe and inclusive for all of your employees. All skills levels can play and will want to play since there is no pain from messy projectiles or mess. We understand the challenges of planning corporate events. We take the stress out of the planning - all you need to do is bring your staff. We will do everything else -- starting with a proposal detailing your requirements and how your activities will be structured and managed. 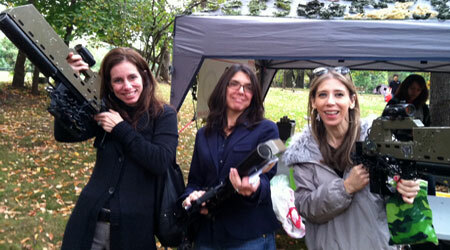 Please feel free to incorporate some of your products into the event, as our friends at PepsiCo. 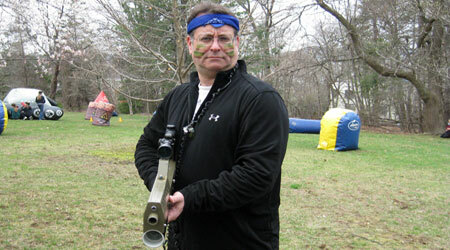 recently did at their corporate event.